So I found out fairly recently that I should not under any circumstances be using my fabric scissors for cutting paper. Apparently this blunt the life out of them before you can blink an eye. 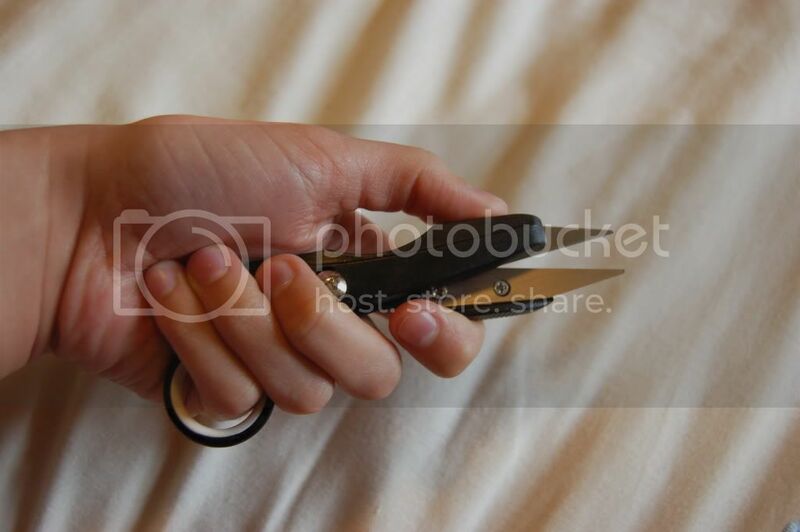 Luckily, I have only had my scissors since Christmas and because I have been at university, I haven't cut much of anything with them - fabric or otherwise. To save myself the worry of using them again, and the angst I cause my housemates when I forget to take the kitchen scissors back downstairs after using them, I have bought myself some scissors from Aldi (hooray!). This is the kit they came in. 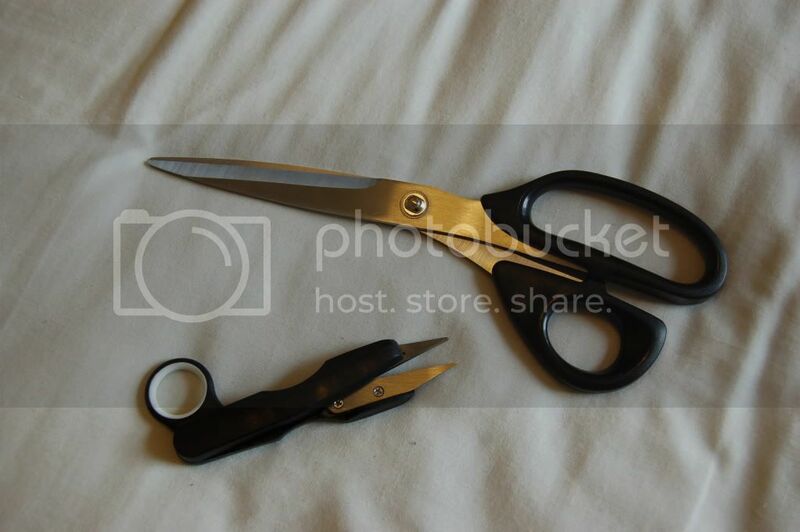 The big scissors actually look really sharp and since my official straight fabric scissors are slightly serrated I'm thinking about buying some different scissors to use with paper (really rubbish ones) or getting myself some big heavy very sharp tailors shears. Anyway, my problem isn't with the big pair, it's with the little pair. 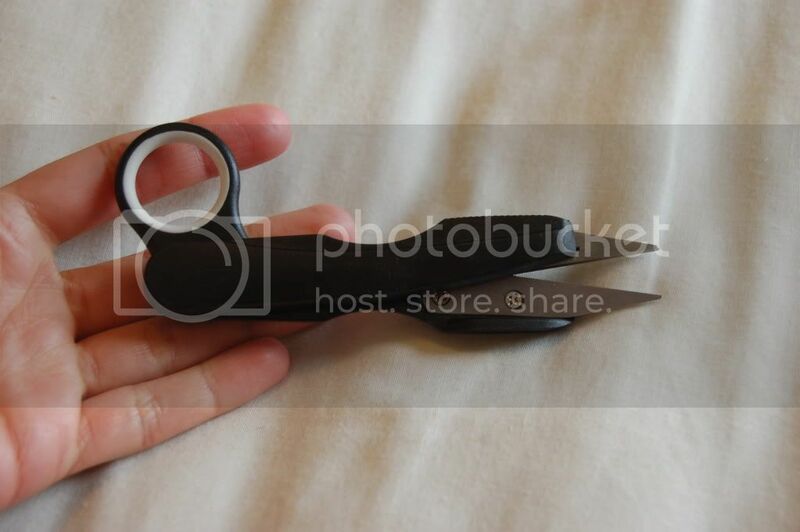 I've identified them as thread clippers (thank you internet!) but I don't understand how you're meant to use them! I know the theory is that they are for triming threads off the raw edges etc but I don't know how to hold them in my hand! But that wouldn't work as the shape of them means you'd have no purchase. And I'd end up with really strong lateral finger muscles, which let's face it, would look plain weird. Also, along the top is a finger grip (raised lines) which implies that's where you have to put your fingertip, which just wouldn't work! Technically, you could ignore the "thumb hole" completely and put your thumb on the finger grip. 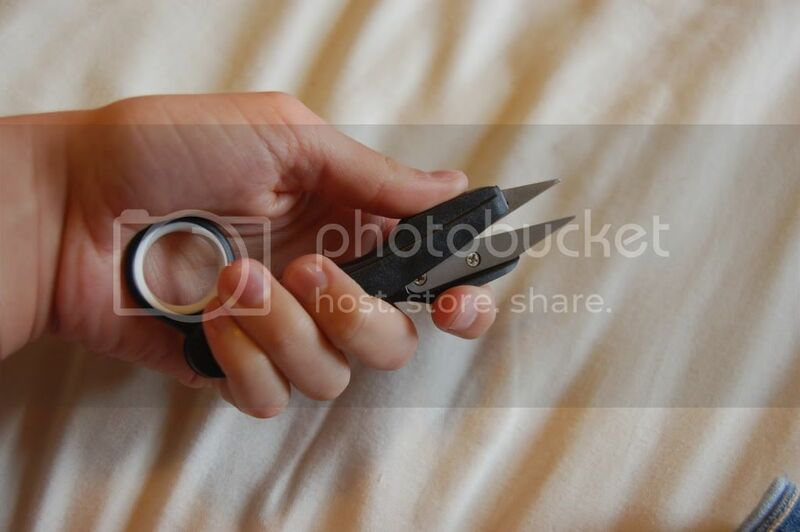 This is how hole-less thread clippers are held so I could just to that and use the hole as leverage in the palm of my hand. Which actually, after a while feels much more natural than the others. But then that's literally the opposite to what the internet told me to do! (Damn you internet!) Also it means that your index finger is on the finger grip, so maybe that's right? Greg also started attacking my revision notes with them so though he may have proved his worth by showing my how to hold them, it also reminded me of one fundamental rule. Don't let boys have scissors! Even if they are in their 20s! Any ideas on how I'm actually meant to hold them? I think I might just go with the last one, then at least I'm only going to get over developed thumb muscles! 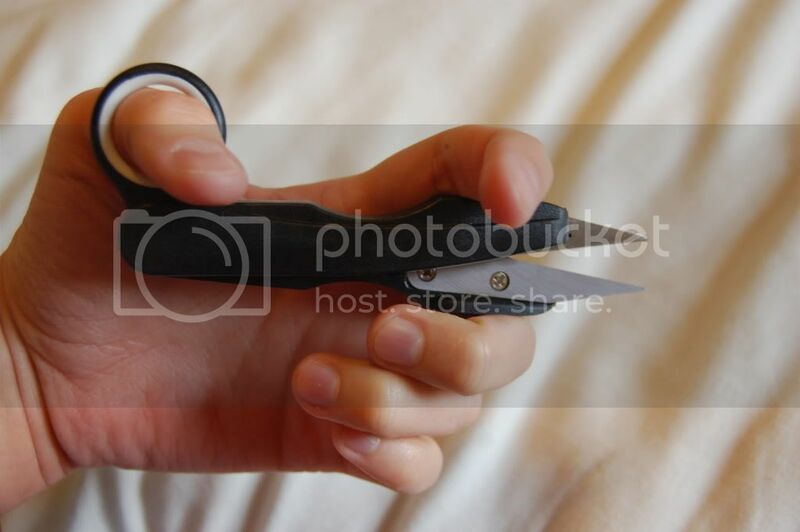 Also, I should point out that I am actually right handed even though all the pictures are of my left hand, but I can't operate and camera and hold scissors with the same hand! It might be quite useful to use them in my left so I could do fabric things with my right hand at the same time. Oh and I will actually be in an exam when this post is published so don't worry, it's not that I didn't go, it's that I'm nifty with pre-writing posts!